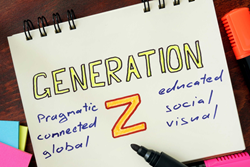 Cynopsis will host a September 26 live online event, How to Connect and Engage with Gen Z, offering new information, research and case studies on the most effective ways to appeal to these young but savvy decision-makers. Lynn Leahey, Editorial Director for Cynopsis, will host the September 26 session along with the following speakers: Ronjan Skidar, VP, Media Analytics for Nielsen, Cristina M. Lucero, Director of Research & Insights for AwesomenessTV, Darren Ross, President for Fluent, and Frank Simonetti, CEO & Co-Founder for Sweety High. There will also be a Gen Z college student on our panel to offer candid answers to questions about the demo. All attendees will receive full access to speaker presentations for 1 year. Tuition is based on location, not number of participants, so each registration site can have multiple participants for one low price. Questions? Contact Trish Pihonak at trish(at)cynopsis(dot)com. Cynopsis is what the TV industry reads first every day. The Cynopsis family of products includes the media industry's most-read daily, Cynopsis, plus sister dailies Cynopsis Digital and Cynopsis Sports; weekly eSports, the Cynopsis Jobs board and special reports. Serving TV, agency and brand professionals, Cynopsis Media produces conferences, webinars, and awards programs that are second to none. Find out more at cynopsis.com.